Transport your bike on any vehicle you want! Finally, an easy to use rack perfect for transporting your recumbent, tandem, or single bike. Even fits recumbent tandems! The Long Bike Tote® can be attached to any square hitch receiver - a simple accessory that can be added to almost any vehicle. Our simple design allows for quick transitions between different bike types without purchasing any additional pieces. Simple - Easy 1 step installation and effortless bike loading. A one person operation. Convenient - Transport your bike on any car fitted with a square hitch receiver... even your compact car or small SUV! Carrier folds down for easy trunk access. Safe - No more dangerous roof racks that are hard to load and expose your bike to low clearances. 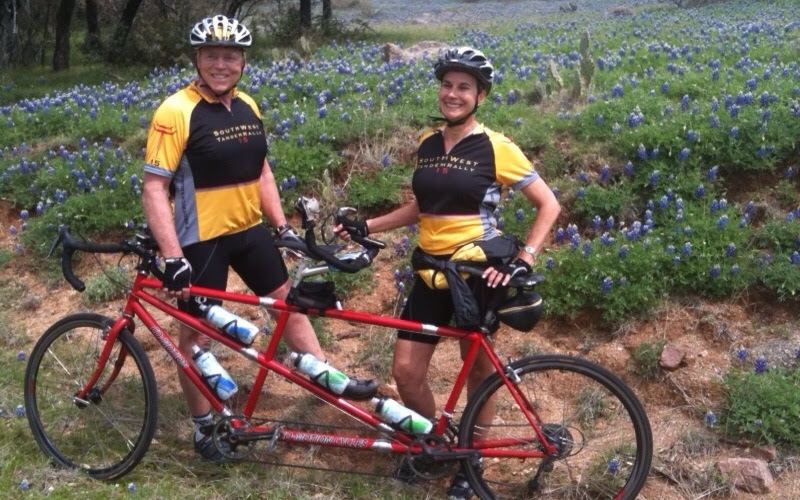 Learn about the real tandem riders who built the Long Bike Tote to solve our own bike transport needs. Have questions? We're here to chat. Do you want to transport a tandem, recumbent tandem, regular or long frame recumbent, or trike style bike safely and easily? Take a look at our products.